The Hollywood Reporter has revealed casting breakdowns for characters to be featured in Showtime's upcoming 10-episode Halo live-action Halo series. Kyle Killen (Awake) serves as executive producer, writer, and showrunner. Rupert Wyatt (Rise of the Planet of the Apes) will direct multiple episodes and executive produce the hour-long series. Production will begin in Budapest in June 2019. These three characters are the only ones mentioned but I'm sure there will be more to fill the show's ensemble but for now, this is all that has been shared. Anyone have any casting suggestions or thoughts, feel free as always to share them in the comments below. 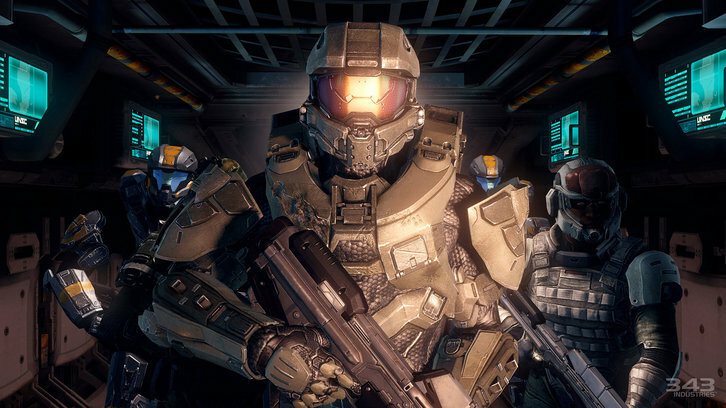 John/Master Chief (Master Chief Petty Officer of the Navy John-117) described as a Spartan-like warrior of large build. An imposing, genetically enhanced supersoldier almost always only seen in his green armor and helmet (per the video games) but given that the character is a series regular he might not always be so covered. Dr. Halsey (Dr. Catherine Halsey) is the creator of the SPARTAN-II program which made the elite corps of supersoldiers and their Mjolnir Powered Assault Armor. Actress between the ages of 55-65. THR notes that the age might suggest focussing on the characters later life, protecting her Spartan creations. Jenny, Asian woman between the ages of 18-20 but THR notes that there is no major character by that name in the games so it could be a new character. Dr. Halsey — likely the Dr. Catherine Halsey who appears in 2010's Halo: Reach and 2012's Halo 4 and 2015's Halo 5: Guardians; and Jenny, listed as an Asian woman between the ages of 18-20. There is no major character by the name of Jenny in the games, but Dr. Halsey is a prominent figure in Halo lore. "HALO is our most ambitious series ever, and we expect audiences who have been anticipating it for years to be thoroughly rewarded," said Showtime President and CEO David Nevins when the project was ordered back in June. "In the history of television, there simply has never been enough great science fiction. Kyle Killen's scripts are thrilling, expansive and provocative, Rupert Wyatt is a wonderful, world-building director, and their vision of HALO will enthrall fans of the game while also drawing the uninitiated into a world of complex characters that populate this unique universe."